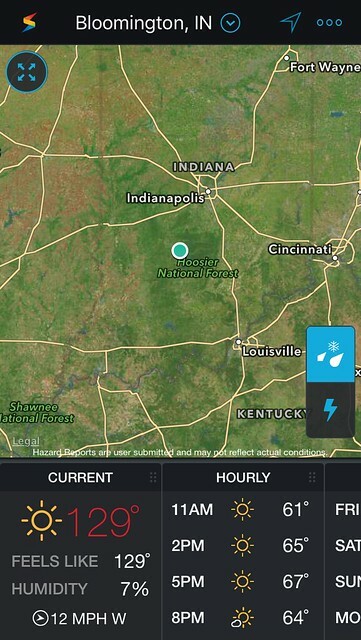 I think the Storm app pulls data from Weather Underground. I looked at the WU website, and sure enough, there’s a weather station in Bloomington that’s reporting 129F. The hourly forecast at the bottom of the image is closer to reality.